If you have had a holiday accident or suffered an illness on holiday that wasn’t your fault you should consult an experienced solicitor as soon as you have the opportunity to do so. Macks Solicitors have a great deal of experience in handling holiday compensation claims for holiday accidents or illness on holiday in this country and abroad. Our specialist solicitors have successfully pursued claims for thousands of holiday makers over the years and are happy to give advice without any obligation to anyone who has suffered illness on holiday or a holiday accident. 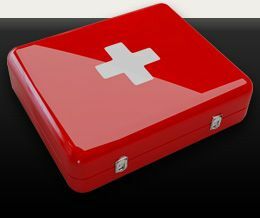 If you have had an illness on holiday or a holiday accident in this country then compensation can be sought from those responsible in the same way as any other personal injury claim. If you go on a package holiday, bought in the UK and are unfortunate enough to have a holiday accident or an illness on holiday, you have the advantage that you are able to seek compensation from one source, which is the UK tour operator. The Package Holiday, Package Travel and package Tour Regulations 1992 lay down the tour operators responsibilities and their customers’ statutory rights. A claim for a holiday accident or illness on holiday will be made through the tour operator or their insurers and will include damages for any “knock on” effects the holiday accident or illness on holiday caused. If you organised the holiday yourself, booking travel and accommodation etc. separately it may be slightly more difficult. The combined problems of having to deal with a foreign language, foreign rules and foreign regulations can be challenging and will almost certainly demand the expertise of a skilled and experienced solicitor. Nonetheless, if you suffered a holiday accident or illness on holiday as the result of someone else’s negligence, you should still be able to make a claim. Having photographic evidence will greatly assist any claim. Even if taking photographs of what caused your holiday accident or illness didn’t occur to you at the time it may be worthwhile looking through your holiday snapshots to see if they picture anything that might assist your holiday compensation claim. Reporting your holiday accident or illness on holiday to the tour operator’s representative and the staff where the incident occurred will also support a holiday compensation claim. Having reported it they should have ensured that it was entered into the accident book. Taking details of any witnesses to your holiday accident as well as those of people injured, or who have narrowly escaped being injured, in a similar incident will also give weight to any holiday compensation claim. If you suffered an illness on holiday, such as food poisoning, enquire if anyone else had also been ill and under what circumstances. This will help identify the source of the illness and may help to prevent further incidence. If you have had a holiday accident or have suffered from an illness on holiday your tour operator or the hotel etc may offer to provide a solicitor to act on your behalf or may even make an immediate offer of compensation. Do not accept without first taking advice from an independent solicitor. Any offer that is made is likely to be considerably lower than the amount that you are legally and morally entitled to. 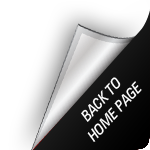 Macks Solicitors will be happy to give you impartial advice on making a holiday compensation claim without any obligation on your part. Our solicitors are trained personal injury lawyers who will discuss your claim and the options available to you. 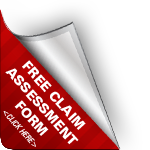 If you would then like us to handle your claim we will be happy to do so.